Much like Luxury Liner, this is an album I’ve barely listened to. It’s been in my collection since I bought it used years ago. Sadly I’ve never put this on my computer, and I can’t seem to find a torrent of it. Roses In The Snow is a bit more traditional than Luxury Liner. It’s got a lot of bluegrass and gospel influence to the record. 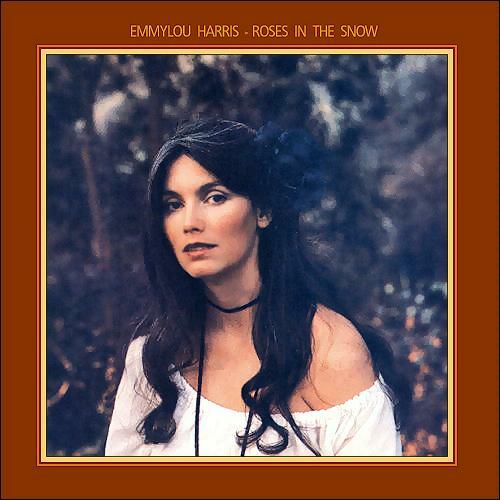 The album is more bluegrass than one would expect from Emmylou Harris, but it seems to work extremely well. With a Paul Simon song, Ralph Stanley, Louvin Brothers, and many more. Harris really excels at selecting her material, and this is another album that really showcases that talent of hers. Not only does she select songs that are to be expected of her, but she also selects songs like “The Boxer.” At first listen, one wouldn’t expect her to be able to make “The Boxer” her own, but she does. More on that later. When you flip over to side two, you face a wall of fiddle. It comes at you like a pack of bulls, and it’s one of the greatest feelings. To have those fiddles fill your ear holes, and suddenly to have some killer guitar playing, too. The harmonies on the album are just fantastic. “Green Pastures” is a classic gospel song that perfectly highlights the beauty of Harris’ voice. When I saw Simon & Garfunkel’s “The Boxer” on the tracklist, I was honestly scared, but the melody is note-for-note exactly like the classic song, Harris just changes the instrumentation. Replacing them with traditional country instrumentation, the song translates amazingly.